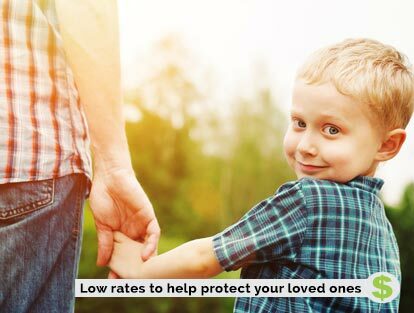 Save On Permanent Life Insurance! Let ThinkInsure take care of all your life insurance needs. 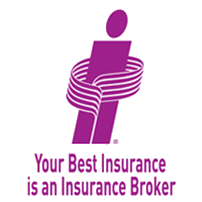 We are an independent insurance broker so we can provide unbiased advice on the best coverage for your needs. Why Choose Us For Permanent Whole Life Insurance? With the right life insurance protection, you’ll be assured that you’ve taken care of your loved ones and your responsibilities. Permanent Life or Whole Life Insurance is an important part of a financial plan for your life. It could be the difference between a secure or insecure future for those you leave behind. Permanent life insurance can be confusing and complex type of coverage. Understanding all the ins and outs takes time and can be difficult. And there are many options for permanent life insurance. Don't worry though, a ThinkInsure life insurance expert can help you. Unbiased Solutions : We’re licensed life insurance experts. We’ll offer unbiased, professional recommendations and advice based on your needs. We partner with the top life insurance companies so we have access to many products and plans. Superior Customer Experience : Your ThinkInsure life insurance broker will take care of all your insurance needs and make sure you have the best coverage. Insurance Value : We put our expertise to work for you. Our brokers all have in-depth knowledge of a wide range of life insurance options so you’ll get the best value for money based on your personal needs. Savings With The Lowest Rates : We partner with 40+ insurance companies. So we will find the best insurance option to suit your budget. What Is The Difference Between Whole And Permanent Life Insurance? Permanent Life Insurance and Whole Life Insurance are the same type of insurance coverage. Different insurance companies and providers use different names for the coverage. What Is Permanent Whole Life Insurance? Permanent Life Insurance protects you throughout your lifetime – your policy never expires or renews. That’s why it’s called whole life. Permanent life also has the added benefit of a tax-advantaged savings element. You receive a death benefit and you build cash surrender value. This coverage can serve as one component of your long-term savings strategy. When Should You Buy Permanent Whole Life Insurance? Whole life coverage with built-in cash savings. Uniform premium payments throughout your life – premiums generally never increase unlike term life insurance. Long-term coverage for mortgages, funeral costs or other end-of-life expenses. To earn dividends from your life policy. Permanent life insurance never needs to be renewed. Premiums remain consistent – generally there are no increases regardless of changes in your health. With some permanent policies, you only pay for a fixed period. Coverage never expires even after your payment commitment ends. Permanent life insurance helps you take care of mortgage debt and ensure that your loved ones are looked after in the event of an unforeseen death. Permanent insurance also offers access to the funds of the policy through partial surrenders and loans on the policy. With premium levels that don’t change, you can account for protection without the rising cost of premiums over your lifetime. Your costs are fixed and known so you can have peace of mind about adequate coverage without increasing costs. Permanent/whole life insurance offers both a death benefit as well as cash value and loan options. Speak to a professional : There are many options available to you with term insurance. Make sure that you understand the term of your policy. Understand the different life insurance options : It’s easy to get confused. Learn the benefits of permanent life insurance over universal or term insurance. Your financial situation and life circumstances will influence what you invest in. Permanent Life Insurance provides valuable protection for you at a time when you want coverage of some financial exposure to risk as well as some future dividends or benefits for your whole life. Call one of our life insurance experts to discuss your whole permanent life insurance needs - 1-855-550-5515.